Over a century old, this design is timeless. You'll be sure to impress with this quilt! 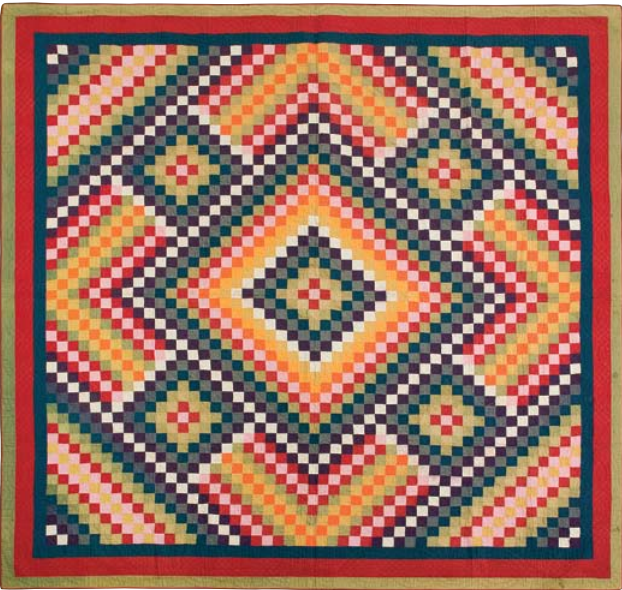 "Barbara created this striking quilt circa 1895 for her daughter, Ida S. Stoner. Barbara and her husband John farmed near Ephrata, Lancaster County, PA. 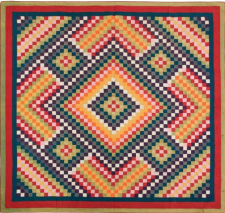 The quilt is part of the collection of Barbara’s great-grandson, Clarke Hess. Planning a quilt such as this must have given Barbara many hours of pleasure. She even dyed some of the fabric pieces herself, to get precisely the shades she wanted to include in her design. Her stunning project was finished with a lovely green/ brown lozenge stripe backing, the only patterned fabric in the quilt. You may find it helpful to use a design wall to position your squares prior to sewing."